I don’t recall exactly, when the last time was that I operated Field Day primarily from home. I haven’t had much setup at home lately, and have been involved with various club efforts for years and years. This year tho, I was “1 Dog from Alabama” – referring to the “1D” category of a home station using commercial power. I used this as an opportunity to exercise one radio with one antenna. I often have my tape measure tuned radial elements on display, but don’t get to use them much at home. I thought 40m was greatly improved. I use these on a Hustler 5BTV, with a Yaesu FT-897D. Conditions were good on 40m thru the night, worked nearly everybody that I called back to. I got good reports. There had been some concern, that the recent solar storm might leave a mess, but I thought conditions were pretty good. I was pleased. I worked only the 40, 20, 15, & 10 meter bands, SSB only. I didn’t get in any hurry, didn’t even leave the house. Made about 50 contacts. I didn’t have a current version of http://n3fjp.com/fieldday.html, but a quick visit to the site, and an install – and it was registered and running. Shows me that ~40% of my contacts were on 7 MHz, but all together fairly well spread about the map. Hope everyone else had a good time as well. Turned up an interesting relic (while looking for something else, of course). I was in the 8th grade in 1968, and had use of a Hallicrafters S-38 receiver. Staying up late, the ionospheric ‘skip’ would expand to include Europe and I kept a log of different broadcast stations as I found them. 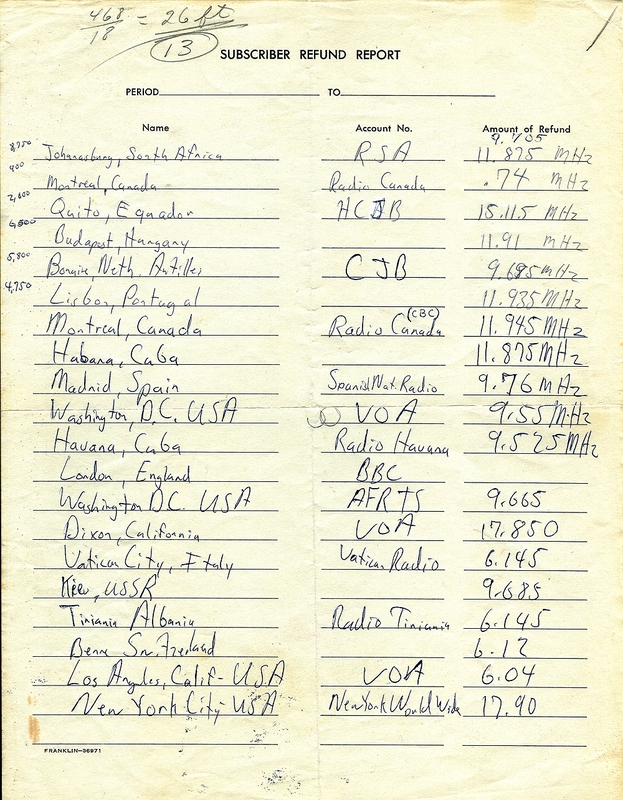 I kept other notes as well, and often I wrote to the stations asking for a QSL card. I have found several of these as well – but they can go in a future post. Note the wavelength calculation, top left – to find the element length for a 18 MHz dipole… I think that was the antenna I had hanging from the ridge line of the attic. Another surprise in the mailbox. On the heels of the 2015 January VHF contest, arrives an award certificate for last year. Seems that with only 13 contacts and 5 grids, I was the band winner in the Alabama Section, Single Op, Low Power category for 222 MHz. This is not the first time I have received an award, for a fairly minimal contribution. I also received this award in 2010, for the 2009 June VHF contest – again on 222 MHz. That time I had 3 contacts in that band, 2 grids. This time I only had one 222 contact, W4ZRZ… Thanks Jimmy.. These VHF contests may not seem like much to many, but I look at them as a mini Field Day. I set up my (mostly) portable antennas and listen a lot as I do other things. This year for the January event I have 17 contacts across 4 bands (3 on 222 this time). I appreciate these little contests, as I get to check in with a few folks I don’t hear much from thru the year. There is always someone new to the VHF contest world, or VHF SSB for that matter… Oh, BTW, these 222 contacts have all been with a HT on FM, but using a small 4 element beam. If you haven’t done such a regional contest yet, try one. Sometimes 50 MHz will surprise you – those are exciting contests when the ‘magic band‘ comes to life. 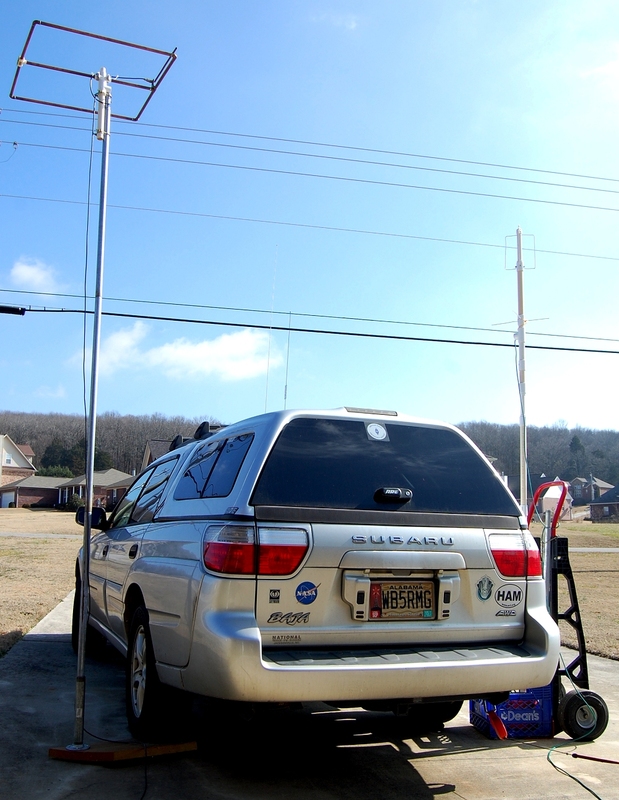 In the Huntsville area, there are plenty of stations to work, even with just a vertical. Do what you can with what you’ve got. Get some soon, try a VHF contest.!. That is almost too much alphabet soup. What that means is that every year those of us that do ham radio, like to test our skills with a large scale exercise – most often coordinated at the state level. 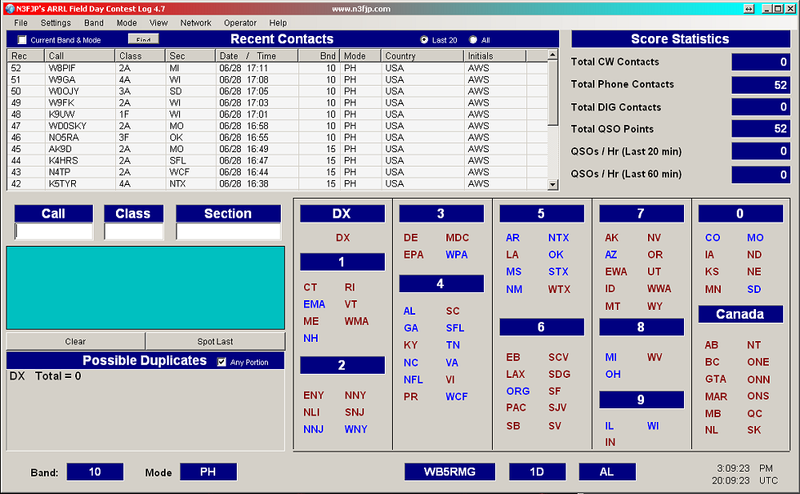 My goal this year was to operate my VHF Winlink email from the Subaru. I also needed to activate the MSFC club station WA4NZD for the exercise. So, I setup the stuff in the passenger seat, and drove to the club station. There had been some power-grid work earlier in the month at the Fox AMC (host site for our Winlink Internet Gateway) and it had only returned to service the day before the Simulated Emergency Test (SET). 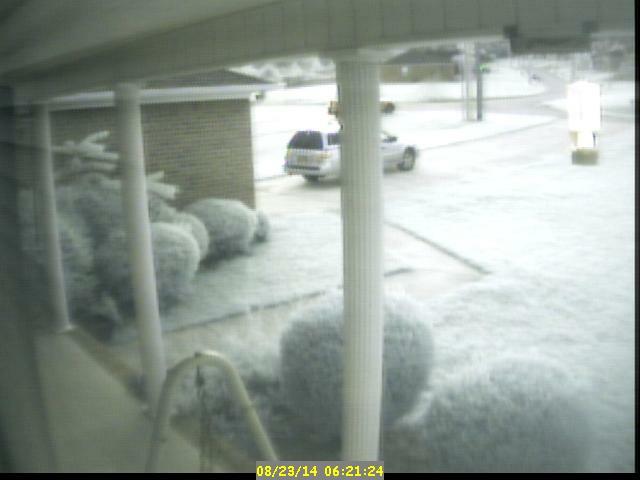 I have a 4G/LTE modem available, and could have also operated the mobile station as an internet gateway if needed. Someday soon, I’ll test the HF mobile capability as well. The N4WGY-10 gateway was easy to access from WA4NZD, and a few exercise-related messages were sent. I think I heard Bill/KB4NEI check in directly from FAMC as well. This is a great resource for the community and I’m glad to see even a few dedicated users checking it out weekly, with their own station ‘s readiness review. Perhaps I can update the W4HMC website with the latest version of the Communications Plan diagram we used as a baseline this year for our SET. If you are not yet registered with the Madison County ARES group – and want to be a part of this, please check our HMC RACES.org website. There were several nets activated, and lots of check-ins.